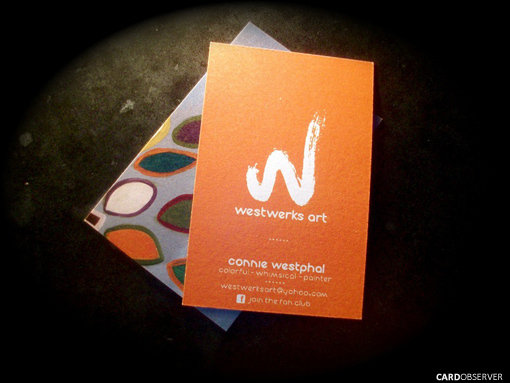 Colorful cards for an colorful painter. 4 different colored fronts each with 3 different backs with snippet of the artists work. The end result is a set of cards as colorful and playful as the artist work. Cards by Moo.com.